I've been meaning to blog about all of the pumpkin activities we did last month and I kept procrastinating! We sure had tons of fun exploring and investigating the many pumpkins in our pumpkin patch. Our pumpkin activities began by using snapping cubes and measuring some of the pumpkins we had in our classroom. The students worked together while completing this activity. They also practiced estimation of the cubes needed, and adding and subtracting cubes. This activity was all about the beginning letter of the students. Under the letters, they would find a photo of a friend whose name begins with the letter. It was very fun to see how they would try to guess who was under the J....when we have 6 students and two teachers with the letter J. Here's a literacy activity the kiddos loved! 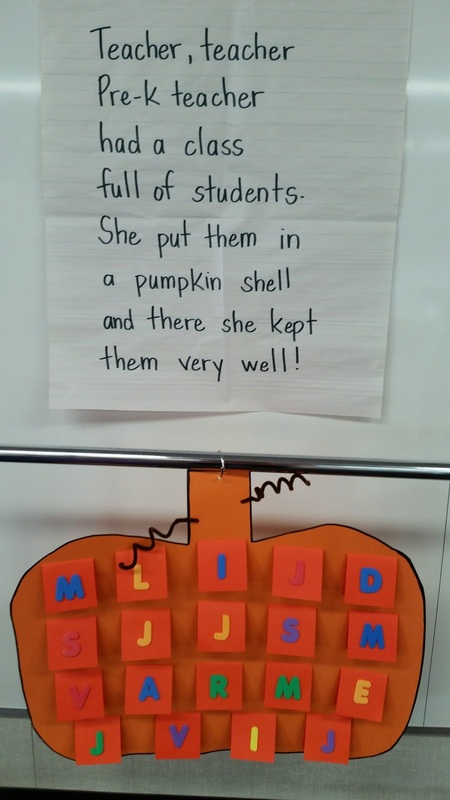 Inside a Halloween pumpkin we place the wooden pieces of an alphabet puzzle. The students would the take turns picking out a letter, then we sing and make the letter sound! This lovely girl use the felt board to make her creation! 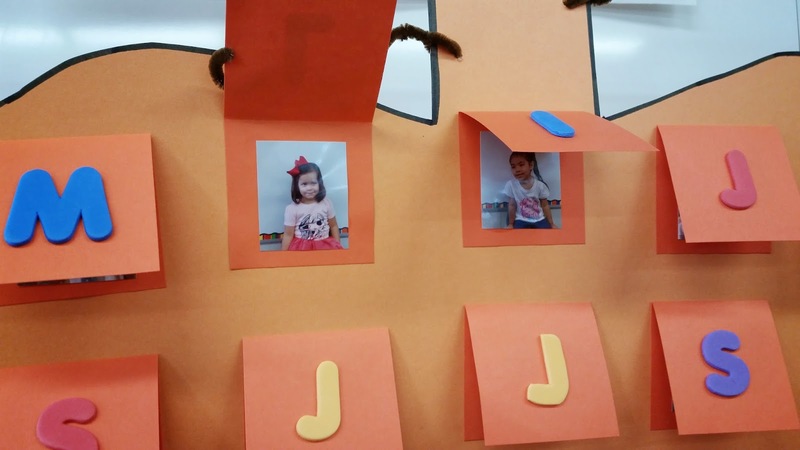 She used a variety of shapes to make her shape-lantern's face.....and legs! 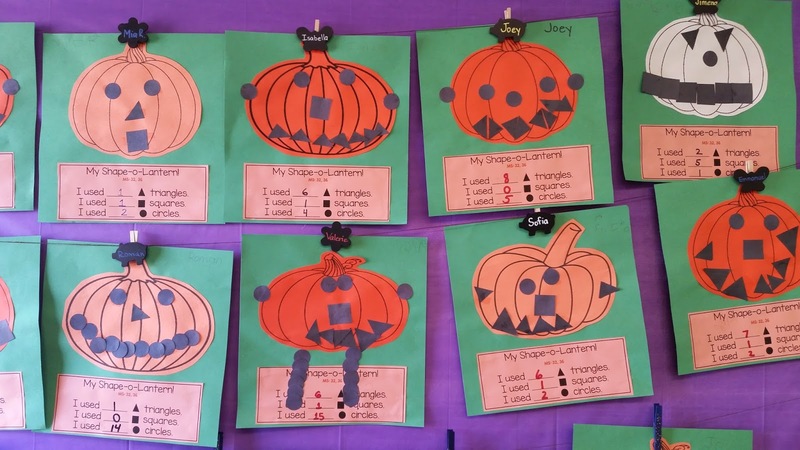 We ended up our pumpkin activities with our Shape-o-lanterns! The students would use different shapes to make the face (circles, squares, and rectangles). Once they competed their pumpkins they counted the different shapes they used. Now, we are onto apples!